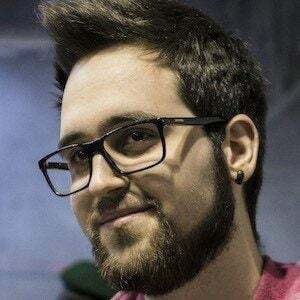 YouTube gamer who is known for his participation on the channel I Termosifoni. He has gained popularity alongside his gaming teammates for game commentary and walkthroughs. He co-created the I Termosifoni YouTube channel on August 27, 2014. He appeared in his first video there the next day. He and his I Termosifoni channel mates have earned more than 70,000 subscribers. One of their most popular videos there, "rpGTA 5 PC - Peli.Pubblici.2016.iTALiAN.AC3.HDRip.XviD," has earned more than 100,000 total views. He and fellow Italian YouTube gamer Stefano Lepri are both known for their prolific gaming highlights.